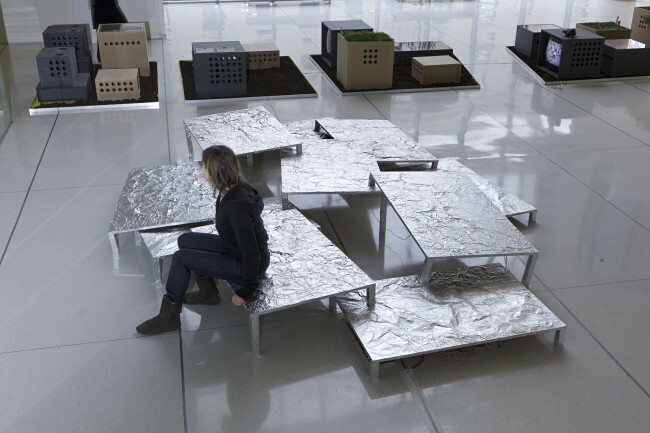 Tables Talk is part of Boston Chapter of Disobedience exhibition – an installation by Hailong Wu, student of the ACT course “Art, Architecture and Urbanism in Dialogue”. “Tables talk” is an exploration of the important students disobedience in Boston—Harvard 1969 strike. As in the Fordism time, students became the avant-garde as rebelling knowledge workers, which happened across the world during that time. In this sense, what makes student strike unique? We studied power structure of the basic knowledge-workshop—classroom, which, we think, setup its power structure through simple furniture, such as platform and tables. Consistent with this assumption, during the student strike, the first thing students did is to pile up the tables in classroom to re-arrange the space, and moreover to deconstruct the power structure in the knowledge-factory. 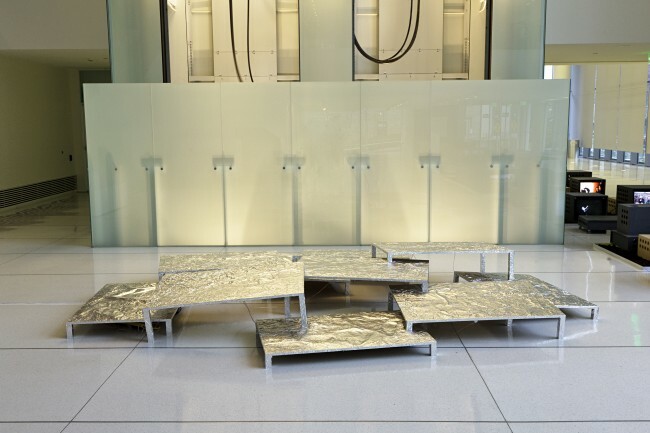 “Tables talk” freeze such deconstructive moment, and reconstruct it with different material, different geometry and different functions, which are turned from furniture into stairs, mirrors, and sound generators. It provides people to see, to listen to, to touch and to walk on the piled-up tables in order to form a unique multi-layers sensation of disobedience.